Google on Tuesday launched several products under the mantra of "Made by Google," including two Pixel smartphones that natively run a new Google Assistant built on recent advances in artificial intelligence to improve personalized, voice-capable searches. Most of the new products had been hinted at for weeks. They include the new Pixel phones, with 5-in. or 5.5-in. screens and prices starting at $649; a Google Home device for $129 that relies on Google Assistant, and a virtual reality headset and controller called Daydream View for $79. The phones come in three colors: Very Silver, Quite Black and Really Blue. Much of the focus of the event, which was livestreamed from San Francisco, was on Google Assistant. "The goal is to build a personal Google [search] for each user," said Google CEO Sundar Pichai in opening remarks. With the use of A.I., Pichai said, search capabilities can be more personal and more like human speech. "We are evolving from a mobile first to an A.I. first world," he said. Another major theme of the event was Made by Google, which incorporates the idea of offering the best Google Android experience "by bringing hardware and software design together under one roof," said Brian Rakowski, vice president of product management, in a blog. Previously, Google had relied more heavily on third-party manufacturers for its Nexus line of phones, going back to the Nexus One, introduced in 2009. The phones, however, are reportedly manufactured by HTC for Google. Google also apparently decided to stick with the simple Pixel name for the different-sized phones, even though it was reported they would be called the Pixel X and Pixel XL. Both will run Android 7.1, also known as Nougat. Both phones have an impressive set of specs, including a 12.3 megapixel rear camera, a quad-core Snapdragon 821 processor, 4GB of memory and either a 2,770 or 3,450 mAh battery. While the storage is either 32GB or 128GB, Google said cloud storage of high-definition photos and videos will be unlimited. Video stabilization software was also demonstrated. A live customer care feature is included for reaching out for technical help via phone or chat, with a screen-sharing option. There is also a "quick switch" capability for transferring contacts, photos and messages from a phone on another OS to the new Pixel phone. The phones are available for pre-order today in the U.S., U.K., Canada, Germany and Australia, and starting Oct. 13 in India. Verizon will be the exclusive carrier nationwide, although the phone can be purchased unlocked from the Google Store for $649, or $27 a month. Analyst Carolina Milanesi of Creative Strategies, was impressed with the Pixel phones, saying they could take advantage of the problems Samsung has had with a recall of its Galaxy Note7 devices over battery problems. "Made by Google could not come at a worse time for Samsung," she tweeted. Others, however, questioned how well the Google Assistant will perform in real life. "Everything Google showed onstage was very compelling, but as we have seen with most claims in intelligent assistants, rarely, if ever, have they lived up to the hype," said Patrick Moorhead, an analyst at Moor Insights & Strategy. "Google and Google Now are very high quality, but to claim it is a game-changer, Google Assistant must do what it did on stage." 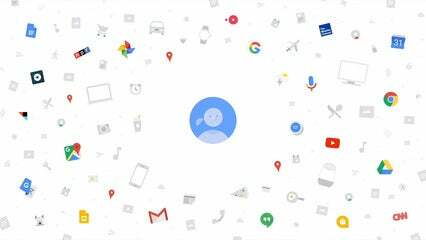 Moorhead also reminded users that as they take advantage of Google Assistant personalized voice searches, Google is mining their personal information as the company creates improved advertising profiles — the lifeblood of Google's existence. Overall, Moorhead said the Pixel devices are "pretty undifferentiated compared to both Samsung and iPhone seventh-generation phones." He said he was surprised that Google didn't put two rear cameras in the devices, as that is rapidly becoming a standard on premium phones. Some analysts viewed Google's A.I. news as more noteworthy than the new smartphones and other hardware. "It was clear that Google is laying the groundwork for A.I. to be the next major platform upon which Google will build its future products, whether that's Google Assistant… or Home. Google's advances in speech-to-text and text-to-speech provide the company with a leg up in the conversational user interface that underpins many of the A.I.-based applications," said Gartner analyst Mark Hung. The Google Home device wasn't well differentiated from Amazon's Echo, said Jack Narcotta, an analyst at Technology Business Research. "I wonder if there's really value for this type of home device outside of a niche base of tech-savvy consumers," he said.